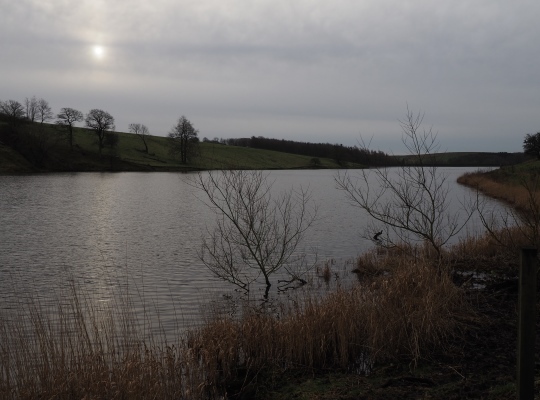 Winterburn Reservoir is a long, thin reservoir located a mile north of the small village of Winterburn in Airedale. Construction on the reservoir was begun in 1885 and completed in 1893. 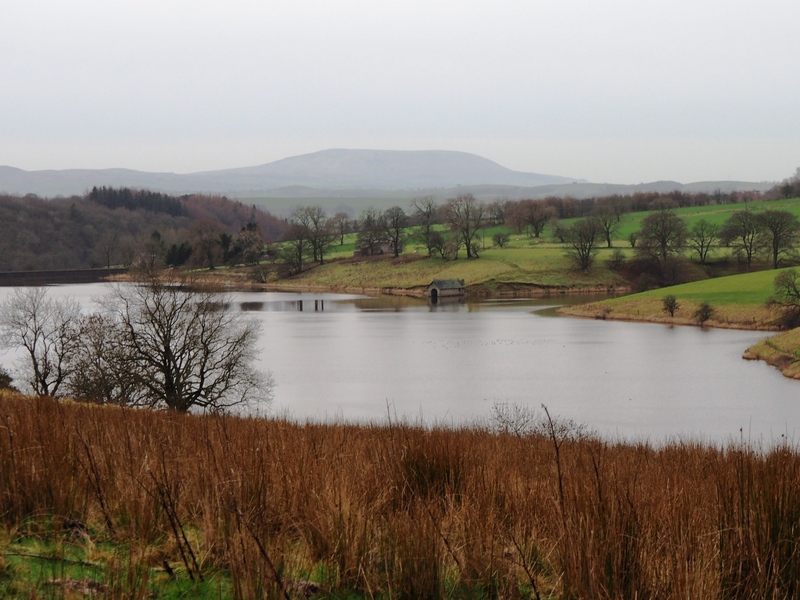 Unlike reservoirs such as Thruscross Reservoir or Scar House Reservoir, Winterburn Reservoir was not constructed to provide drinking water but instead to maintain the water levels of the Leeds – Liverpool Canal which lies a few miles to the south at Gargrave. It is a lovely and peaceful sheet of water, popular with birds. 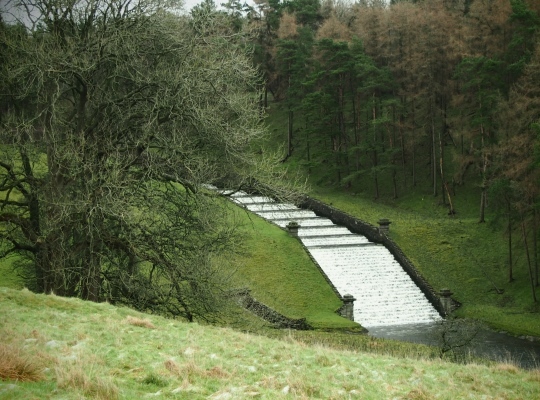 The quickest approach to the reservoir is to follow the access road from Winterburn north along the steep wooded gorge below the dam. The dam itself blends in nicely with the landscape. An alternative approach is over the moors to the east or west. On my only visit, in January 2016, I started at Hetton and followed Moor Lane to the northern end of the reservoir.